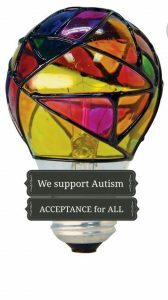 Welcome to the Empathic Autistic Community! I just received an email from a young newly-identified autistic man* who was looking for resources, and I realized that I need more pages devoted to resources on my site! *I use identify-first language (for instance, autistic man) for most disabilities, including my own, and it’s an intentional choice. Before you prepare a person-first lecture, see the note at the bottom of this page for an explanation. I’ve written a lot on this site about autism and empathy (or hyper-empathy, actually), and I explicitly identify autistic people as hyper-empaths in my book, The Art of Empathy. When people authoritatively claim that autistic people are unempathic, know this: Those people don’t understand the first thing about empathy. I also based my Master’s thesis on an international survey study of social skills programs for autistic people that yielded astounding information that I’m still processing. Because of this, many people write to me and ask if I know anyone who can help, or if I know of any programs or supports for autistic people who want to be more comfortable in a neurotypical-dominated world. Sadly, there isn’t yet a readily-available book or support system like this. In my research, I studied the available social skills or relationship skills programs for autistic children and adults. The research responses suggest that most of these programs are not truly supportive, because they often treat autistic social skills and preferences as inferior (or nonexistent), and are focused too strongly on neurotypical behavior as the unquestioned norm. So if you’re an autistic person looking for some support, I want you to be careful. As a passing neurotypical (NT) person, I can tell you that NT social behaviors are often-hilarious failures. NT understanding of emotions and empathy is also very iffy, which is why I wrote my books. If anyone tells you that NT social functioning is preferred and that autistic functioning is wrong, they’re not paying attention. If you’re looking to explore the concept of social skills in a way that’s nourishing, something I’ve seen that really helps is to seek out groups of autistic friends who are aware of the neurodiversity model. This autism-positive social support can help you discover your comfortable and natural way of empathizing and being social. When you can explore and celebrate your own social intelligence, you can code-switch into NT social norms instead of seeing them as the only norms. If anyone tells you that you need to become NT, or if they suggest any therapies, diets, or programs that promise to erase your autism, run. There are some resources that may be supportive for you. First is this free PDF booklet called Welcome to the Autistic Community! It’s a helpful primer on autistic needs and neurology created by the Autistic Self Advocacy Network, or ASAN. These short booklets should should be read by everyone in your life if they care about you and want to learn how to support your unique neurology. The next is Amythest Schaber’s YouTube channel, where you’ll discover information from the neurodiversity approach to autism. This one on Functioning Labels is important to understand as you consider ways to describe yourself in an NT-obsessed world. Another resource is my page: Research-Based Approaches to Autistic Ways of Learning. Though much of it focuses on learning approaches for children, a lot of it applies to adult learners — especially the sections on eye contact (don’t force it!) and bodily alignment (face-to-face alignment is not necessary at all times). There is some especially powerful information in the thesis about the gender fluidity that may be a norm in the autistic community. Autistic people are just as empathic and sometimes much more empathic than neurotypical people are; it just looks different. Celebrate those differences! of major, functional portions of my anatomy. that the surgery was elective. Don’t fit in unless it’s a choice you make freely. You’re unique and valuable exactly as you are. *A note about identity-first language: In my work and in my life, I use identity-first language (autistic person) instead of person-first language. Person-first language is an attempt to focus on the person, and add the disability as an afterthought, (i.e., person with learning disabilities). Though it’s often well meaning, person-first language is a tactic that tends to highlight rather than downplay any condition. Linguistically speaking, it actually signals that there is something wrong. For instance, we would not say “man with handsomeness,” “woman with French ancestry,” or “person who is funny.” Person-first language is used only when a condition is temporary, feared, or unwanted. Identity-first language challenges the idea that disabilities are temporary, or that they are something to hide, fear, or be ashamed of. Person-first language has also been very controversial in disability rights circles, and is not the accepted terminology for many disabled people themselves, especially for many members of the blind, Deaf, and autistic communities. In these communities, disability-positive and identity-first language is often preferred, i.e. blind person, Deaf person, and autistic person, or simply, autistic. Personal note: Though I use identity-first language for myself and in my work, if you and I were together and you requested different terminology for your disability, I would certainly use whatever terminology you preferred.